The beginning of a new year is the perfect time to reflect on the past and look ahead. Let’s rewind and see how 2012 turned out to be such an incredible, record-breaking year. Not only did we celebrate 20 years of USANA, but we also received an astounding 89 awards—nearly double the number of awards from the previous year. Ranging from “Best Company in Network Marketing” to “Best New Products,” the awards highlighted different company strengths, and recognized our products, services, executive leadership, and more. For the fourth year in a row, USANA was listed as one of Outside Magazine’s “Best Companies to Work For.” When you take a look at our you-focused mission statement and commitment to quality, it’s no wonder we were named No. 23 in the nation. Thanks to you, USANA was ranked as the No. 1 “Distributors Choice” Best Company in Network Marketing by MLM Insider Online for the 15th consecutive year. Don’t forget to vote for us again this year. USANA’s team of highly trained scientists were recognized with their first “Best of State: Research & Development” award. This prestigious honor is given to those who excel in their field and display overall excellence, superiority, quality, and an effort to make the world a better place. The 2012 International Convention was unlike any other. We celebrated 20 years of USANA, revealed our new brand identity, and handed out nearly 8,000 iPads. It was certainly an event to remember, not only by the thousands of Associates in attendance, but also by "Best in Biz Awards." In fact, it earned top honors from the organization and was named "Event of the Year." We know our customer service department does an exceptional job helping you stay on top of your business, which is why it was such an honor to receive the Bronze Stevie Award for Front-Line Customer Service Team of the Year. Our communications and creative services teams are always thinking outside the box, and it shows. Last year these departments received an impressive 14 Communicator Awards, honoring our innovative designs, articles, ads, flyers, and prospecting tools. Thanks to you and our world-class products, we have broken all our records and continue to press forward as leaders in the industry. Help us raise the bar and make 2013 another record-breaking year to remember! Visit What’s Up, USANA? for more information about USANA’s 2012 awards. SALT LAKE CITY, Jan. 22, 2013 /PRNewswire/ -- A new study by USANA Health Sciences, Inc. (NYSE: USNA), in conjunction with The Orthopedic Specialty Hospital (TOSH), suggests that inflammation may cause a decrease in the body's vitamin D levels. The study examined levels of vitamin D in twelve adult males between the ages of 18 and 45 recovering from anterior cruciate ligament (ACL) surgery. "This research brings an awareness to managing inflammation in patients in order to protect them against vitamin D decreases," says Dr. Tyler Barker, Clinical Researcher at TOSH. "Preserving or maintaining a healthy vitamin D level is essential to the function of a variety of physiological systems. 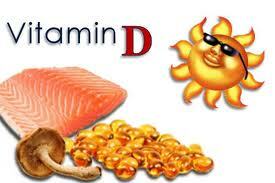 We plan to further investigate the influence of vitamin D supplements on vitamin D levels during inflammation." Research for this study, which was published in October 2012 in Cytokine, The Official Journal of the International Cytokine Society, was funded in part by USANA Health Sciences, Inc. in Salt Lake City, a leading international manufacturer of top-quality nutritional products. "We have a close partnership with TOSH in the scientific studies we conduct on our products. It was a privilege to be part of this valuable research," says Dr. Brian Dixon, USANA's executive director of scientific and clinical affairs. "The results of this study are significant in determining optimum vitamin D levels during periods of inflammation." For more information about USANA's products and company, visit USANA.com. Founded in 1992, USANA Health Sciences (NYSE: USNA) is a U.S.-based nutritional company that manufactures high-quality supplements, personal care, energy, and weight-management products in their FDA-registered facility in Salt Lake City, Utah. USANA's products, tested by NSF International and used by more than 600 professional athletes, are developed by the company's award-winning team of scientists and sold directly to Preferred Customers and Associates in 18 international markets. Named one of Outside magazine's "Best Places to Work" for four consecutive years, USANA has received more than 100 state, national and international accolades, including Utah Best of State, Stevie Awards, Australian Business Awards, NutriSearch Editor's Choice and others. Learn more about USANA (www.USANA.com) and the USANA True Health Foundation (www.USANAfoundation.org/), stay current with the official USANA blog (www.whatsupUSANA.com), like us on the USANA Facebook page (www.facebook.com/USANAhealthsciences), or follow USANA on Twitter (@USANAinc). TOSH—The Orthopedic Specialty Hospital—is one of the country's premier facilities for orthopedic care and specializes in: sports medicine, sport biomechanics, physical therapy, occupational therapy, athletic training, nutrition, biomechanical engineering, exercise and sport physiology. 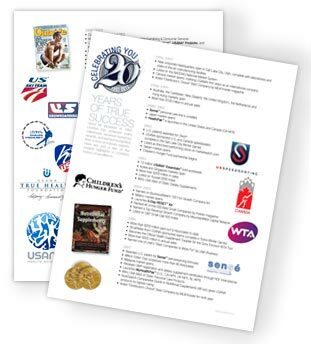 SOURCE USANA Health Sciences, Inc.
Keep the link to our USANA Business Building Library handy for your reference as well as sharing with your team members. Be well, and make it a great week! Please join us in recognizing our eight new team members and those who are helping others while building their own USANA legacies. • Keep the link to our USANA Business Building Library handy for your reference as well as sharing with your team members.